As people age, their speech, language, memory, voice and swallowing changes naturally. Communication or swallowing disorders can also be caused by stroke or developing a condition such as dementia and Parkinson’s disease. Communication problems experienced by older adults may be caused by neurological disorders such as stroke, Parkinson’s disease and dementia. Communication problems can include difficulties to speaking (expressive language) as well as difficulties in understanding written and spoken language (receptive language). Swallowing disorders (dysphagia) may affect as much as 22% of people aged 50 and over. Swallowing disorders have a nutritional, emotional and social impact for the person and their family. If dysphagia is left untreated or not managed properly, it may result in chest infection, malnutrition, dehydration, weight loss, and in serious cases, death. Adapt Health Care speech pathologists are experts in the assessment and management of communication and swallowing disorders. They work with older Australians in their own home to promote independence, participation and quality of life. 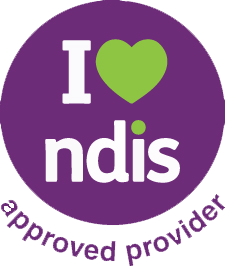 For more information or to book an appointment with an Adapt Health Care speech pathologist, call 1800 085 030.